We are doing Fresh Fork Market again this year for the third time. 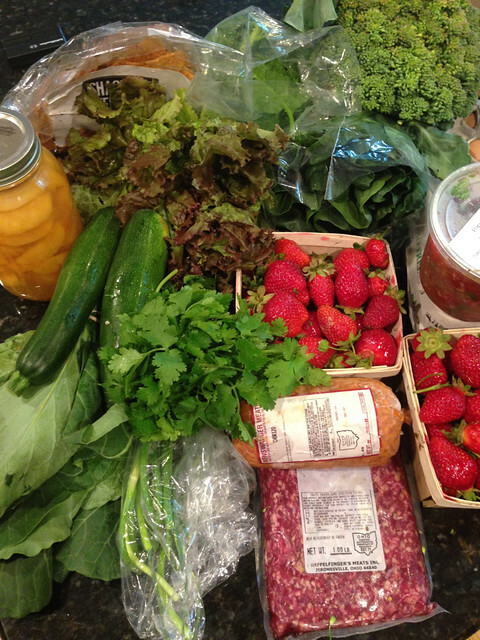 Friday was week #2 and was a good load with Ohio Strawberries, garlic scapes, fresh salsa, canned peaches and lots of other goodies. I’m making ground beef, bok choy and garlic scapes stir fry tonight… sounds good.